Handmade jewerly are gaining popularity these days which were on market a decade ago. Be it jute, clay or handmade beads, there are many buyers. 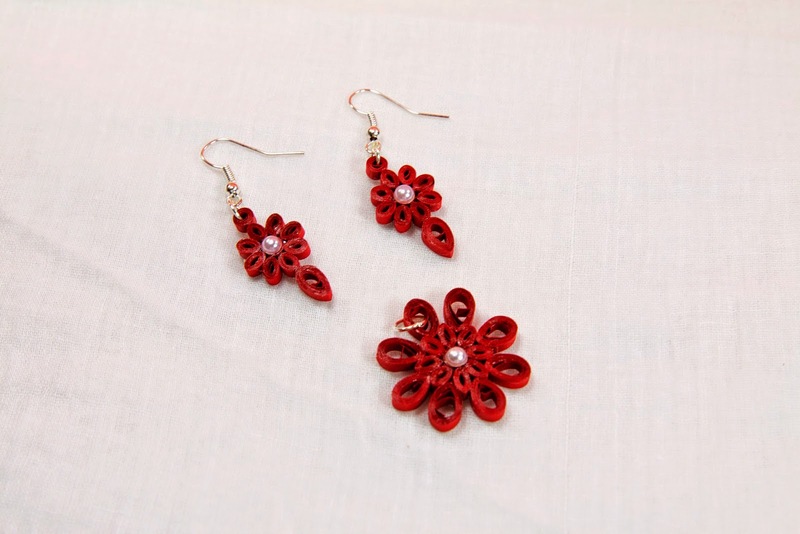 I bought a pair of paper made red earrings and a pendant for Rs 89/-. Nice design isn't it, what do you think?